One of the least likely fish to appear in your LFS is the Dr. Seuss fish. In fact, you will not find but an extremely limited amount of information about this particular species on the internet. Scuba divers are not even lucky enough to encounter these rare creatures without exceeding dangerous depths that require special equipment. The Dr. Seuss Fish actually lives with an amazing assortment of rare fish, some not yet identified! A colorful assortment of chromis, groupers, and even the extremely rare Peppermint Angelfish hang out down here with Belonoperca pylei. They say pictures speak a thousand words, well this fish speaks a thousand words that rhyme. Named after his cartoonish appearance, the Dr. Seuss Fish is quite a character! The form of its body is like a barracuda-grouper-wrasse combination and has a very goofy pattern of yellow, reds, and blues. Polka dots are a sure fire way to show that you mean business. The fish also has blue eyelids that stand out in a way that makes his eyes look like they are bulging out like a cartoon. The Dr. Seuss Fish is only one of two members in the Belonoperca genus but they are completely different in coloration. The care level for these fish is considered NOT EASY. It resides over 350 feet below sea level in Micronesia in the deep reefs. The Lighting should be fairly dim, and mostly actinic lighting. They like to have overhangs to hang out under and wait for food. The fish is considered peaceful with the correct tank mates, but even a Pajama Cardinal will eat a fish if it is small enough. The Dr. Seuss Fish is a predatory species, but only grows to three inches and are aware of it. Some predators have eyes that are larger than their mouths, like Lionfish for example. They do well with large peaceful fish that they cannot swallow. Keeping the water temperature around 68 degrees Fahrenheit is very important. A hot Belonoperca pylei is a dead one. They like most frozen foods and live alike. They benefit from a variety of both. These fish are very unforgiving if you let one expire unknowingly. They put off a nasty toxin that nukes the whole tank if it is not removed as quickly as possible. With that said, these fish are only for expert level aquarists. Skill level is not the only requirement. These fish are limited to a small handful that are already taken. Even the Smithsonian Institution has first dibs on the one at Waikiki Aquarium, but not until after it naturally dies of old age! The others reside in Japan in private aquariums. So how did these places acquire this fish? $10,000! 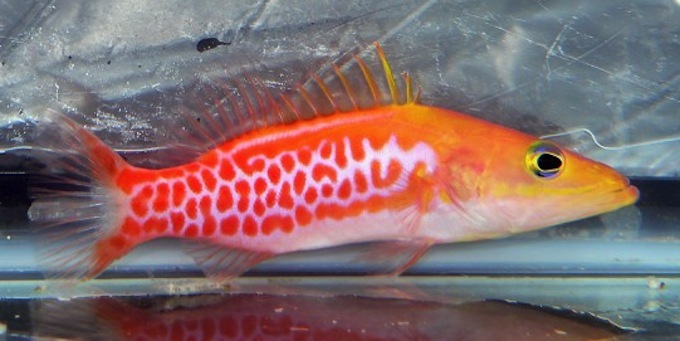 This is not the most expensive fish that has ever sold if you can believe that, but it is still quite impressive. Some of us do not even have tanks that cost that much, even fully stocked. In all reality you will never own one, at least not any time in the immediate future. Even if you have ten grand to play around with, the fish is just not available. Natural observation is a couple hundred feet out of reach for the average diver. The equipment to survive at those depths is much more expensive. Luckily, the most recent capture was in shallow water! The fish was found in much shallower water than they normally live. This also eliminated the risk for decompression problems that are an issue with all deep water creatures. Maybe these fish will become more available when they can be bred in captivity. As more and more pop up, the cost should eventually level out to only a couple thousand dollars per fish. If you live in a small town or a part of the world with limited variety you may never see one of these fish in person. The Dr. Seuss Fish is a serious rarity that must be appreciated for its entirety. 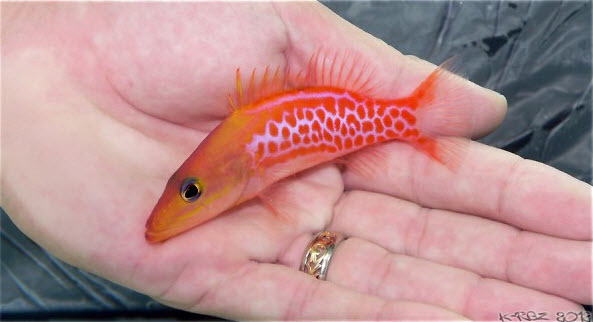 There is not much information on this fish at all, but there are people that know about them. Check out the (Fish Forum Link) and post your question or thoughts on the amazing Belonoperca pylei!